Are you inspired by women runners in their fifties, sixties and seventies? I am! And through this blog I aim to find out more about them. How many women over 50 are running? How did they get into running? What motivates them to carry on? Join me as I dig out the data about women’s running in the UK and also meet some of the inspiring women over 50 who are changing their lives through running. On 3rd August 1980, 200 women from 27 countries lined up in Battersea Park in London to run a marathon: the third Avon International Marathon. Maureen Fitzpatrick was one of those women, excitedly waiting at the start and hoping to complete her first marathon at the age of 29. Maureen little realised that the race she had entered was to be a significant milestone in the campaign to get the women’s marathon included in the Olympics. Nor did she know that she would be racing against some of the world’s top marathon runners. 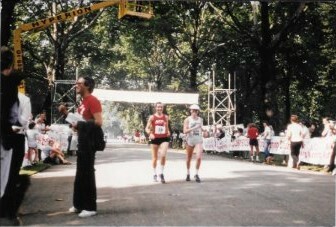 Elite athletes racing that day included Joan Benoit, Nancy Conz and Gail Volk from the US; Linda Staudt from Canada; Lorraine Moller from New Zealand who won the race; and Joyce Smith, the British marathon record holder. Joan Benoit would go on to win the first Olympics women’s marathon at Los Angeles in 1984. Maureen contacted me after reading my article about the Avon London Marathon. Maureen lives in Connecticut and I interviewed her by telephone on 17th November 2017. Tony lived in London for a couple of years in the 1980s and he belonged to a running club there. I had moved to Germany. Initially I went to go to the Goethe Institute for an intensive language programme. I liked Germany and decided to stay, living in Munich for several years. The family I stayed with in the beginning lived way out in the countryside, and I started running again there. One of my fondest memories from when I was first living in Germany was running around a small lake. I think it was about 12 miles around. It was a perfect day and I remember just being amazed that “Oh my gosh I can do this”. I kept on going a little bit further and a little bit further round the lake and it gave me such a sense of accomplishment. It gave me a lot of confidence too. How did you apply to enter the Avon London Marathon? I just stumbled into it. I must have blindly picked up a form at one of the other Avon events in New York and sent it in. The thing that was really funny, was that I was thinking “Oh this will be nice. It’s a bunch of women who are going to be doing a marathon. I’ll fit right in.” It shows you how naive I was. How much preparation had you done and what was your plan for the race? I think I followed the standard training programme at that time which included the whole taper thing. My longest run would probably have been about 20 miles. I remember having a wrist watch and I had actually written in pen on my wrist where I wanted to be at certain times to have some kind of an idea. I had a target pace. It was probably about 12 to 15-minute miles. It was really slow and I probably would have liked to have done 10-minute miles. I tried to be realistic. The time didn’t really matter. It was just the whole experience. I’ve never been fast, I’ve never really wanted to care too much about how fast I was. I like the distance because it puts you in a different place. What was it like at the start of the race? I don’t remember a super big crowd. Given that I was a complete novice and I was in the same area as Joan Benoit, it can’t have been a big event. Joan Benoit was warming up right near where I happened to be. She’s from Maine and I had lived in Maine for several years, so I had a quick little chat with her which was really nice. The race started in Battersea Park and I think we must have done 10k just running around the park. It was a hot, muggy, humid day. How did the race go after that? When we got a little further into the race, the leaders were already doubling back, going by us in the other direction. At that point the woman I’d been running with ran off ahead. Starting off there were other runners around me and then it quite quickly spread out, because there weren’t that many people. The race leaders were way off. I remember just trying to concentrate on everything I’d read about what you could expect in a marathon and trying to stay in my head that way. There was no thought of security threats in those days and my faithful brother was able to keep me company on his bike for most of the race, riding at the back. That was a blessing. I saw her sitting there on the kerbside. She clearly felt, “This is not going to happen today.” Something made me stop and say, “Come on we can do this”. I was moving pretty slowly by then. This was before the start of mass races and they had pulled all the water stations by that point. We slogged along and dropped into a pub to ask for water and may have used their facilities. We probably took 5 hours to complete the marathon and when we crossed the finish line it was long after the excitement of the race leaders’ finish. Essentially the officials had packed it in. My running companion’s husband was waiting for her at the finish line. Knowing his wife had nearly finished, he had somehow managed to procure a medal for her before they closed down the official time keeping. I was not even really thinking about a medal. I was just grateful to have survived the ordeal and happy to have reached my goal. My brother was sticking pretty close to me to make sure that I didn’t collapse. 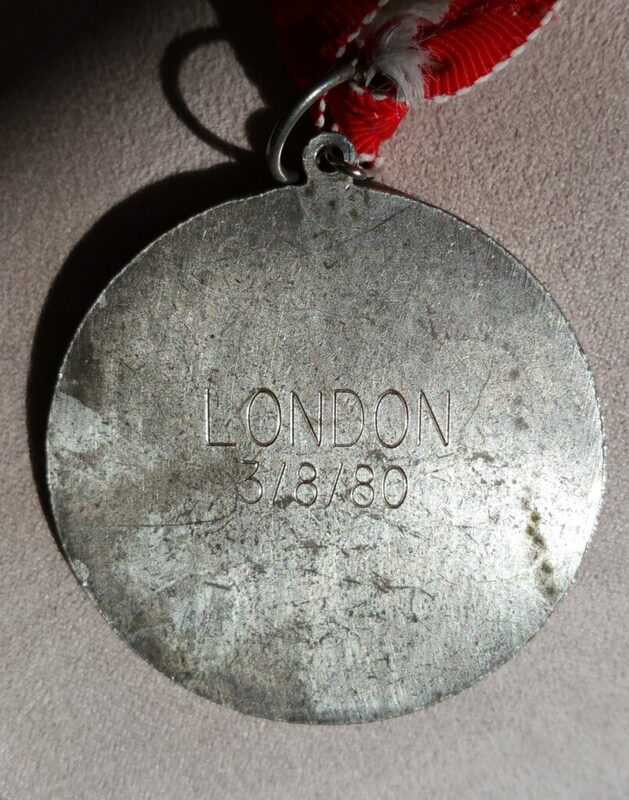 I had gone to gather up my things in the designated spot when the woman appeared and gave me her medal out of gratitude for helping her to finish. I said, “I can’t take this” but she insisted, and I still have it today. I wish I could figure out who she was. She was so happy to have finished, and I was so happy for her. Sometimes you just need a little encouragement. Looking back, how do you feel about having taken part in the Avon London Marathon? The whole thing was such a great experience I’m glad that I didn’t know that much about the race beforehand, because I probably would have been really nervous about trying to do it. This way I just did it. It was very exciting. I didn’t realise how unique it was until later, but that was the first time they closed the streets for anything other than the royal family. It was a really good step towards getting the marathon in the 1984 Olympics. It just shows you how hard it is to get change sometimes. It’s nice that I was a part of something that helped to bring about that change. It’s been a reference point in a lot of ways when I’ve really had to push through challenges in my life. Because if you wanted to get to the end there wasn’t any other way. Maureen carried on running after the Avon London Marathon and did 10k races. 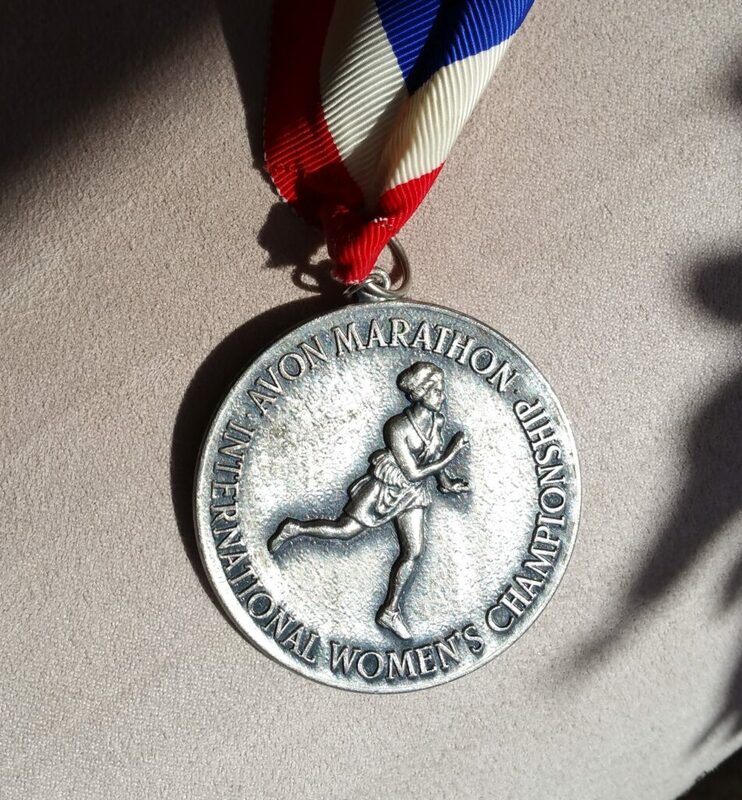 When she was 52, she ran another marathon, in Connecticut. She was determined to do it, despite her husband expressing some concerns about the potential health risks. Despite it being a cold, miserable day with heavy rain she enjoyed the experience. She met a couple at the start who were running their first marathon and doing a similar pace to hers, and they ran the race together. Find out more about the Avon International London Marathon and Kathrine Switzer who organised the race. Read about marathon world-record holder Jacqueline Hansen and her involvement in the campaign for the women’s marathon, 5000m and 10000m to be added to the Olympics programme.